News, info and discussion about the Shiny New Thing... Whaddaya think? Whaddaya HOPE? CivBE general discussions: news, reviews, knowledge base, live events, videos, features, FAQ. Post about other games here, whatever the genre. Have an other game party! Get involved! Be part of the community! Creative writing of all kinds - Read! Post! You taa a a a a alk, you taalk tooo much! 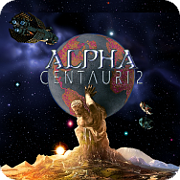 Child Boards: Destination: Alpha Centauri, Our researchers have made a breakthrough! I maintain nonetheless that yin-yang dualism can be overcome. With sufficient enlightenment we can give substance to any distinction: mind without body, north without south, pleasure without pain. Remember, enlightenment is a function of willpower, not of physical strength. Page created in 4.307 seconds with 26 queries.